It’s the last summer of high school, so Kase-san and Yamada decide to make the most of it and head for the pool! Unfortunately, the end of high school isn’t only about celebration. 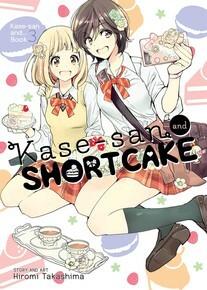 Yamada cheers Kase-san on as she trains for the upcoming track meet, but her mind is filled with thoughts of the future–and what it means for her relationship with Kase-san.